Akash Orang is comforted by his mother after being shot by a park guard. He is now maimed for life. Mr Corry said today: "Contrary to reports in the Indian media, Dr Hector has not cast any doubt whatsoever on the accuracy or truthfulness of the original 2017 BBC investigation. 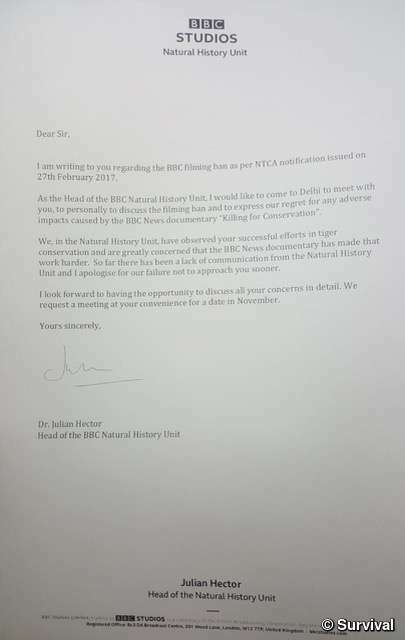 The letter from Dr Julian Hector, Head of the the BBC Natural History Unit, expressing "regret for any adverse impacts caused by the BBC News documentary Killing for Conservation"
However, since the report was broadcast the number of killings in Kaziranga has dropped dramatically. 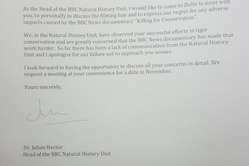 The letter from Dr. Hector has caused consternation inside the BBC, and dismay in India. 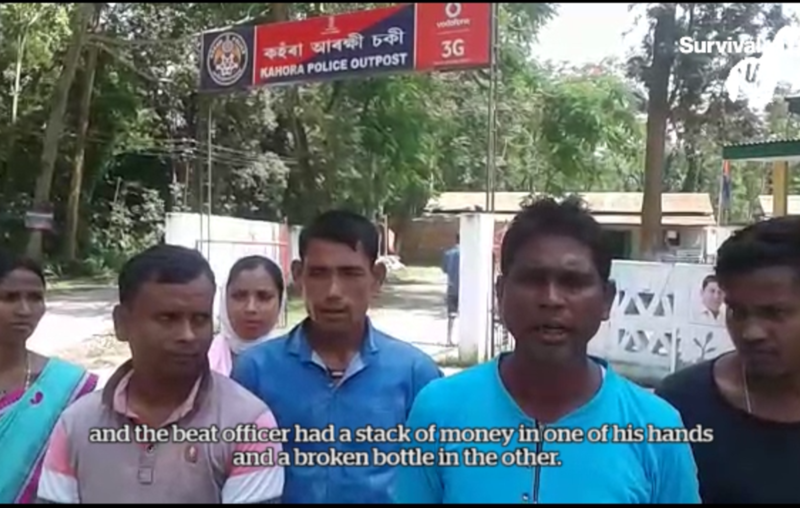 One activist who helped BBC News expose the extrajudicial executions, Pranab Doley, said today: "The government was already falsely accusing us of misleading the BBC in its original report, which brought the shoot on sight policy to light. Now this letter could put our lives at risk, as people are using it to wrongly accuse us of defaming India’s reputation, which could even lead to charges of sedition. “It was a cowardly act by the Indian government and its agency NTCA but by giving into the dictats of the NTCA, the Natural History Unit of the BBC has not only taken an anti-people stand but also failed to uphold the basic values of human rights and media ethics of righteous journalism.